Mette is a project manager at Norway Health Tech, which is the largest health cluster in Norway. She has a bachelor’s degree in marketing with specialization in project management from the Norwegian Business School (BI) and master’s degree in Strategy and Knowledge management from the University of Southeast Norway. She has been working close to the healthcare sector for the last 5 years and has built the capacity of combining the business and efficiency perspective with the need of patients and healthcare personnel to create sustainable health solutions. 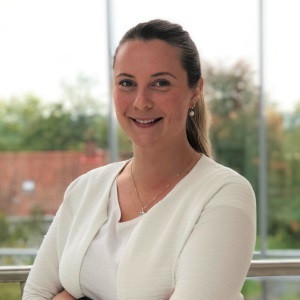 She has hands-on experience form working in a fast-growing Norwegian healthcare SME delivering management tools to GPs in the Scandinavian market. Mette has been working for Norway Health Tech for the last year and she is currently managing the EU funded project Cross4Health and works daily to support SME’s with cross-sectorial projects to the benefit of healthcare.